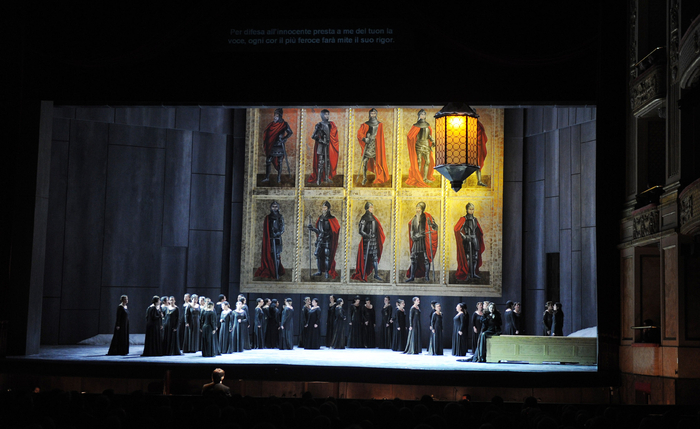 The Opera Theatre of Rome on Wednesday demonstrated 'The Two Foscari' by Giuseppe Verdi in new staging. 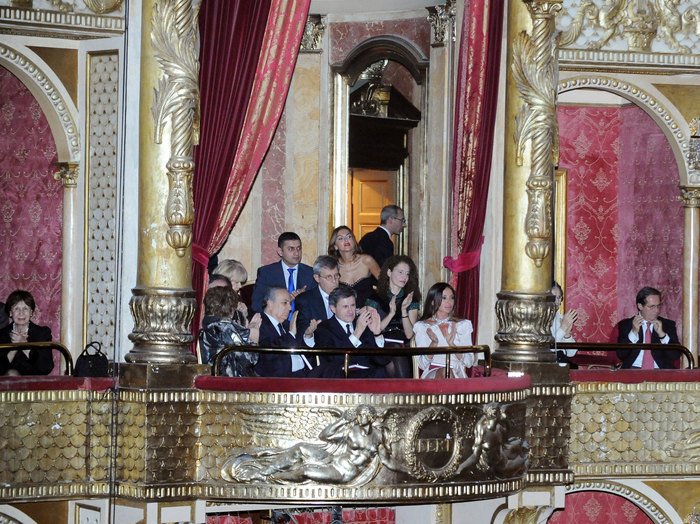 Azerbaijan`s First Lady, President of the Heydar Aliyev Foundation Mehriban Aliyeva viewed the premiere opera. 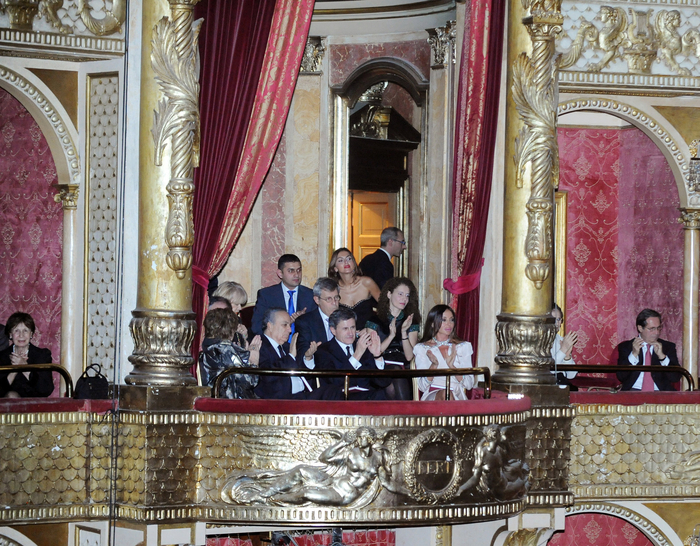 The First Lady was met by chairman of theater's Board of Directors and Rome Mayor Giovanni Alemanno. 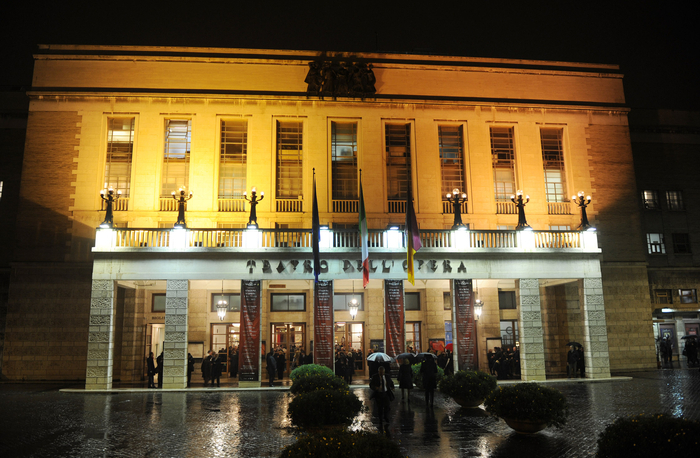 The Opera Theatre of Rome originally opened in November 1880 as the 2,212 seat Costanzi Theatre, and since then it has undergone several changes of name as well modifications and improvements. 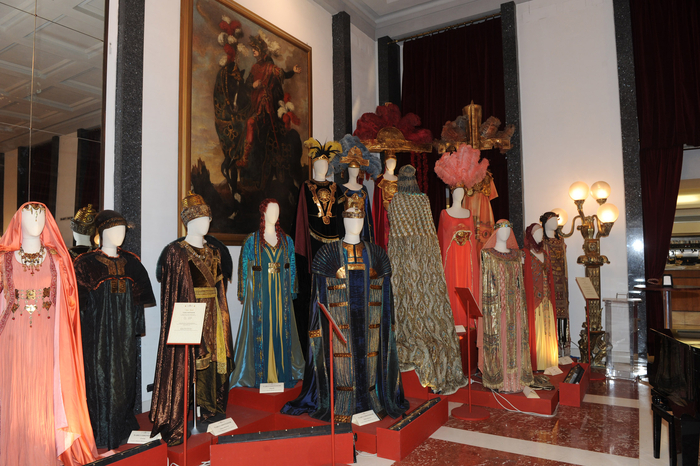 The theatre saw celebrated productions, including Mozart's Le nozze di Figaro in 1964 and Verdi's Don Carlos in 1965, both conducted by Carlo Maria Giulini and directed by Luchino Visconti. Azerbaijan`s First Lady Mehriban Aliyeva met with Theatre director Catello De Martino, President of Theatre Foundation Daniela Traldi, Italian Defense Minister Giampaolo di Paola, President of Italian Constitutional Court Franco Gallo, Minister for Relations with Parliament Dino Piero Giarda and other public figures. The meetings focused on Azerbaijan-Italy mutually beneficial relations. They noted that the Heydar Aliyev Foundation had contributed to the development of these ties. 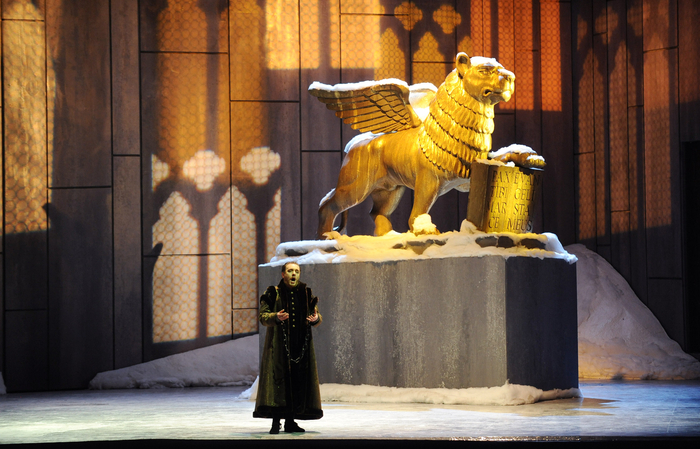 The Two Foscari, Verdi's sixth opera, written in 1844, is essentially a three-act lament over legal injustice and fate's unfairness by three characters: Francesco Foscari, the old Doge of Venice, in his 34th years in power in 1457; his only surviving son, Jacopo, about to be sentenced on possibly trumped up charges of murder and treason, and Jacopo's wife Lucrezia, with whom he has three young children. Based on an 1821 play of the same name by Lord Byron, the opera does not stray from historical truth by much and was still considered so politically touchy at the time that it was premiered in Rome rather than in the northern city in which it is set, despite the fact that Piave was the stage manager of La Fenice in Venice. It is Verdi`s greatest hit. Azerbaijan's First Lady also met with Riccardo Muti, the Italian conductor and music director of the Chicago Symphony Orchestra. 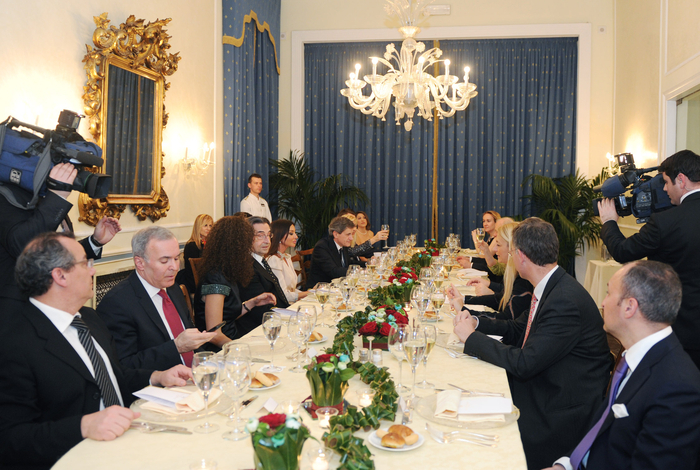 Chairman of theatre`s Board of Directors and Rome Mayor Giovanni Alemanno hosted a dinner in honor of First Lady Mehriban Aliyeva.